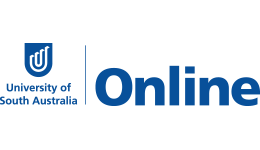 Discover a world of opportunities when you arm yourself with the Bachelor of Marketing and Communication from UniSA Online. Combining the best of their Marketing and Communication degrees, UniSA Online will equip you with the skills and knowledge to succeed in social media, public relations, marketing analytics, digital marketing, advertising, retailing, brand management, and content creation. Study online at your own pace and learn to develop brand communication strategies, craft media plans, build social media strategies, and create engaging content for different target audiences across a range of platforms; understand how to build effective integrated campaigns by combining your creativity and passion for content creation with your marketing and data analytical skills; explore corporate social responsibility, sponsorship, and crisis communication and much more. UniSA is ranked No.1 when it comes to brand management research. What's that mean for you? You'll have the opportunity to learn from researchers and marketing scientists who have advised some of the world's biggest brands! We're talking Google, Kellogg's and Unilever. Learn using real case studies, consumer purchase data and the latest research from global brands. Upon successful completion of this course, you will receive a Bachelor of Marketing and Communication from UniSA Online. Graduates have countless opportunities and can work in a variety of sectors. Choose to pursue a career in marketing, PR, digital marketing, social media or more.